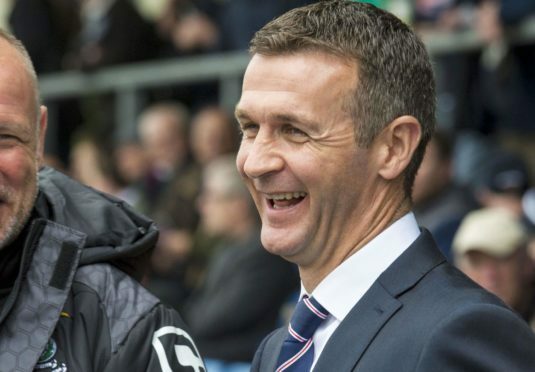 Eric Nicolson takes a look back at the career of new Dundee manager Jim McIntyre. McIntyre’s playing career took off at Airdrie, where he played for the Diamonds for three years before securing a transfer to Kilmarnock. He will forever have his name in the Rugby Park club’s history books as a result of being a member of Killie’s 1997 Scottish Cup-winning team. A fee of nearly £500,000 took him to Reading, during which time he won a Scotland B cap. McIntyre will join a small club of Dundee managers who have played for rivals Dundee United, in his case 141 appearances between 2001 and 2006. After Craig Brewster released him, McIntyre signed for Dunfermline where he was a player for a short period of time (31 games) and then manager. First appointed caretaker after the sacking of Stephen Kenny, McIntyre got the Dunfermline’s manager’s job on a permanent basis at the start of January, 2008. He will always be fondly remembered by Pars fans for guiding the club back to the top flight (at the expense of neighbours Raith Rovers, no less) in 2010/11. Life was tough for Dunfermline in with the big boys and McIntyre was sacked in the March of that season. He would later say that was the best thing that could have happened to him. Derek McInnes brought McIntyre to Bristol City as part of his backroom team for a few months but he was back in work as a number one in 2013 when he replaced Allan Johnston as Queen of the South boss. His reputation was restored and after just over a season in Dumfries the call of full-time football took him to Dingwall. One of the reasons Dundee will have been attracted to McIntyre will be the steadying influence he had at County. Appointed as Derek Adams’ successor in September 2014, a run of eight wins and a draw in nine games ensured their survival with just one match spare. From February, an incredible 43 points were gathered from a possible 63. From that solid platform, McIntyre built a team that won the club its first major trophy, the 2016 League Cup. His sacking in September 2017 came as a shock, given the season was only seven games’ old. McIntyre’s name has cropped up on a number of occasions when Premiership and Championship jobs have opened up. St Mirren were linked with him (twice) as were Falkirk (he turned their job offer down) and Dundee United. Patience on McIntyre’s part and quick-moving on Dundee’s part has resulted in the yesterday’s announcement of the new manager at Dens just over 24 hours after Neil McCann’s sacking. If he can achieve the same level of success in Dundee as in Dingwall, McIntyre will be the best appointment the club have made in a long, long time.